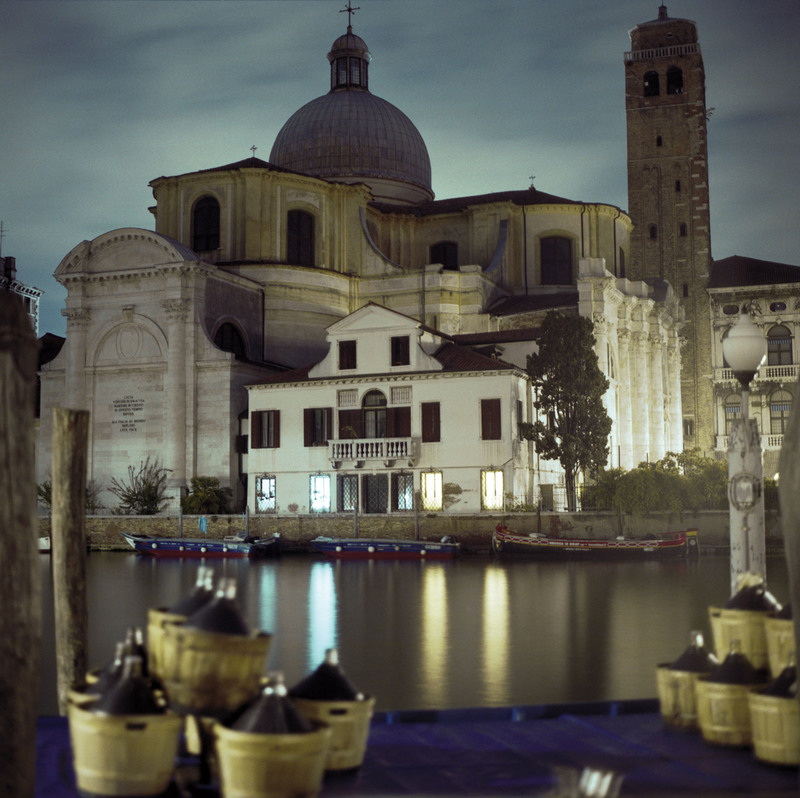 The 14-year-old is fascinated with the vaporetto, fascinated with the houses that stand in the water.Yet when I ask him in the evening, he says that the most impressive thing is the soft blue light under the bed so that you can find your slippers in the dark and go to the bathroom without banging on the furniture. 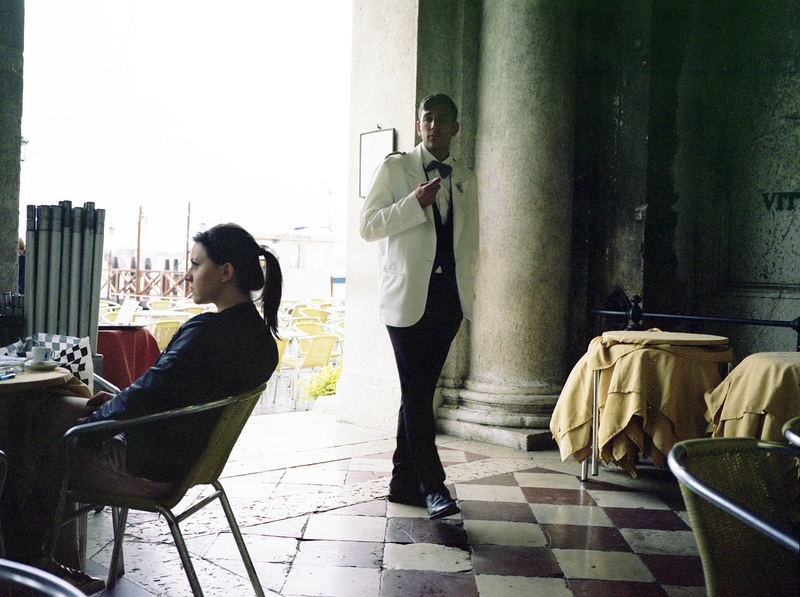 He talks about the meal we had, about how dirty the Grand Canal is… but says nothing about the houses that are sunken in the water like flowers. On one of the stone bridges near the Rio dei Greci, we stop. Two girls and a boy are holding ropes and a furled banner and are about to hang it. Some protest, I think and I am about to go on—but suddenly I ask myself: what would one protest about in Venice? I stop and wait. I want to see the banner unfurling so I can read the message. The kids have set and tied the banner outside the balustrade of the stone bridge, but keep it closed. They are waiting for something. 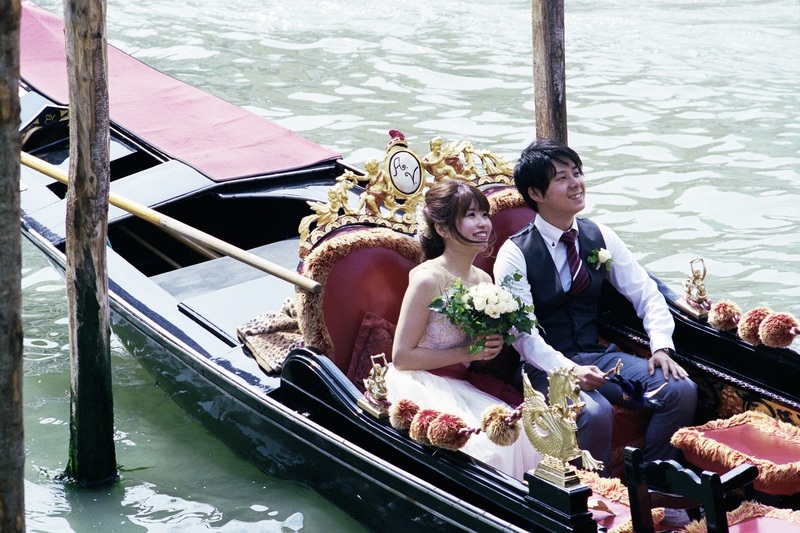 Soon a gondola appears with a young couple on board. It gets closer. “Now!”, commands one of the girls on the bridge. The banner falls open to reveal a huge photo of the couple framed by a red heart. “Will you marry me?” it says above the photo. 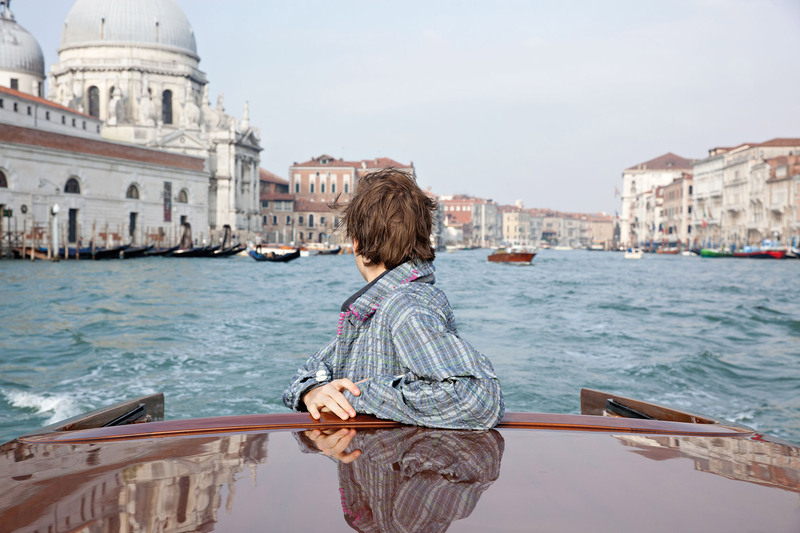 The girl in the gondola looks confused, her hands over her face which has turned as red as the heart around the photo. She looks at the boy next to her and nods ‘yes’. The gondola passes under the bridge. People are taking pictures, clapping and cheering. It was a protest of love. A loud demonstration of eros—a favourite stereotype of this city. After yesterday’s visit to the Gallerie dell’Accademia, today is for the Peggy Guggenheim museum. After the religious themes of Tintoretto, Veronese, Bellini, Tiepolo and Titian we get to Braque, Kandinsky, Mirö, Tanguy, Dali, Mondrian and Giacometti. I am thrilled, while the boy follows me uncomplainingly from the garden to the rooms and back to the gardens, among silent, proud statues that mean nothing to him. I keep talking, trying to stir his interest. He gets his revenge the next day, when we chance upon the Museum with the ingenuous inventions of da Vinci. It’s his turn to drag me excitedly from machine guns to ballistics studies and from ogive-shaped bullets to the first designed submarine. He is fascinated. The best kind of museum for 14-year-old boys. In our effort to find the best pizza house in Venice we drift away from the center and end up at the Pizzeria Muro Frari. The pizza is good but not memorable. This is our third unsuccessful attempt to get to eat some good pizza. 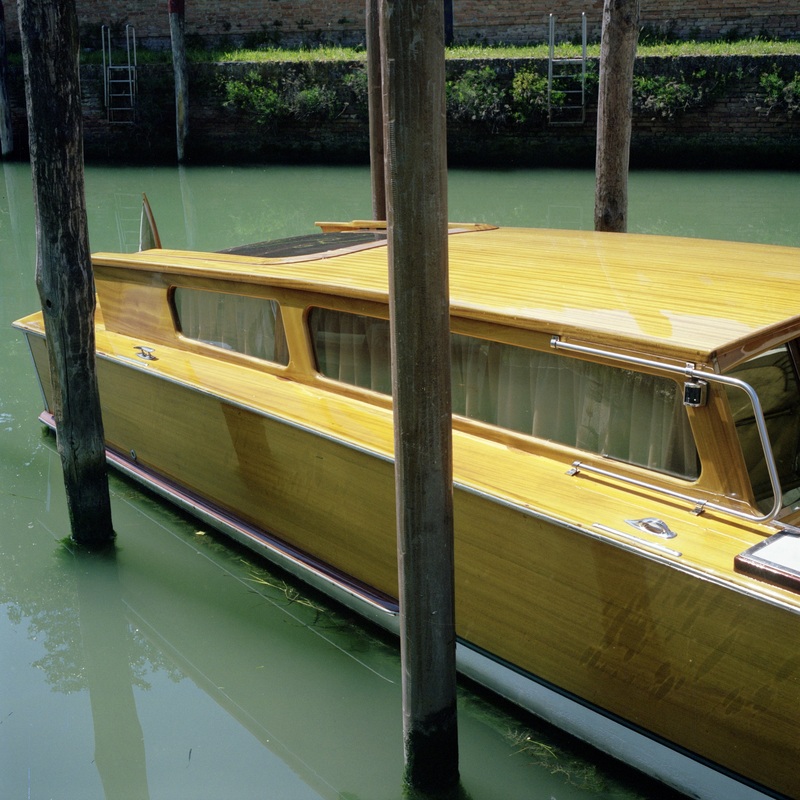 Perhaps they don’t know how to make them in Venice, after all. As we eat I look idly at a group of five men sitting at an outdoor table and chatting as they wait for their pizza. One is reading something, three of them are talking and the fifth one is listening while sketching something with a pencil. They remind me of Rob Brydon and Steve Coogan in the film The Trip to Italy. They seem fully attuned to one another’s presence, and at the same time totally aware of the weight and volume they occupy on Earth. Ah! To be a man; this autism without consequences; this perfect freedom! 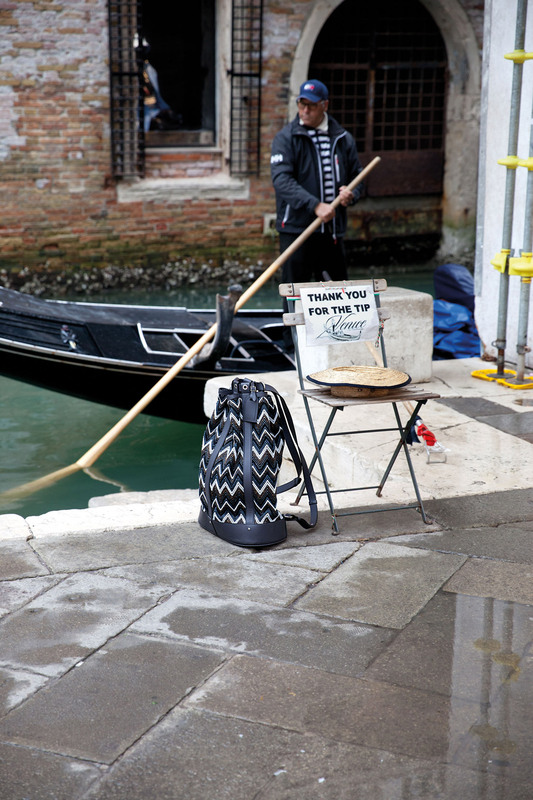 Conversation with Mario the gondolier. He won’t say a word about the stories he has experienced in his thirty years of rowing. He does assure me, however, that he has seen fish living in the Grand Canal. I am unconvinced. The only thing I can imagine living under this dirty water is monsters with wildly deformed heads. It’s easier to picture a slimy green hand coming out of the murky water and snatching unsuspecting tourists than innocent small fish swimming in this grey-green bog. If there are any fish after all, they should be radioactive and glow at night. Now, that would be interesting. We sit at the famous Florian and order a bicerin and a berry-flavoured ice cream for the 14-year-old. The ice cream is impressive to look at but nothing special in terms of taste. The bicerin does not come up to my memory of the beverage when I first had it ten years ago. Only the bill exceeds my expectations: 28 euros in total. In every place you go it is nice to discover your own haunt: a restaurant or café which is not touristy, gets no mention in travel guides and you have found it by chance and adopted it as your own. In Paris, there is this small café near the Place du Pantheon where I like to go for a glass of wine and some pâté, and an excellent little restaurant near the Eiffel Tower; in Edinburgh, I discovered a café frequented by students, which has the tastiest soups, generous sandwiches and exquisite desserts. 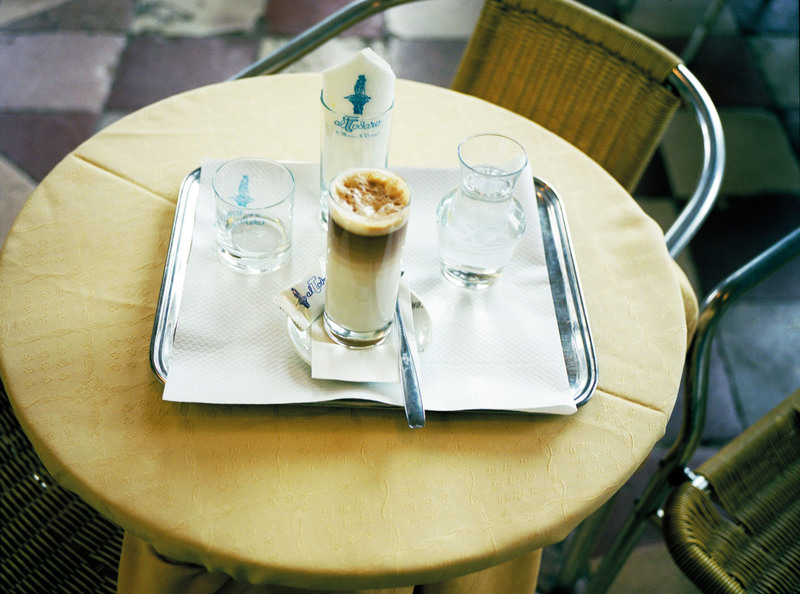 In Venice, the 14-year-old and I fell in love with a small restaurant like a French bistro—the Ai Mercanti. After a delightful dinner I try to strike a conversation with our pretty and pleasant waitress, but it is Friday night and she is busy. I do learn that she is called Anya and comes from Ukraine; she pays one thousand euros for a 60 sq. m. flat in a building without a lift — and, of course, she has to move around the city on foot, since there are no cars in Venice. That’s all she has time to tell me about her life. A day devoted to shopping; small gifts for friends. The shop at the Guggenheim Museum has some nice and original gift ideas, but the young one wants a seal and some sealing wax. We walk past the tourist shops, and as he is beginning to get cranky our attention is drawn to a small shop that sells almost the same things as the others but feels different. A young girl is bent at her corner, making things by hand. A wooden workshop bench stands in the middle. We tell her what we want, she gets out the seals and lets us choose the one we like. Then she comes to the bench, lights the candle, lets the wax drip on a piece of white paper and seals it. The seal is perfect, so we buy some blue sealing wax and a letter-N seal with a beautiful wooden handle which feels nicely weighted in your hand. I remember a friend who had bought some golden sealing wax from a tourist shop in Venice years ago, only to discover that it wouldn’t burn properly and would stick on the seal. We come out pleased, and I wonder who the 14-year-old will send a sealed letter to, since all communication with his friends is now via text messages and email? We buy wine and some prosciutto from a grocer’s, along with some cheese and breadsticks. It’s a picnic on bed this evening. We are leaving tomorrow. I am going to miss the serenity of water at night.